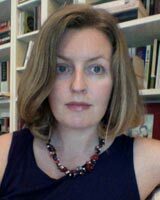 Cathryn Costello ist Professorin für internationales Menschenrechts- und Flüchtlingsrecht und Fellow am St. Anthony's College an der Universität Oxford. The editors and contributors to Europe’s Justice Deficit? are to be commended for opening up the debate about a ‘substantive ideal of justice’ for the transformative polity that is the European Union. The contributions range wide, but the distinctive questions of justice that arise as regards which migrants and refugees to admit, and how to treat them on admission, do not get sufficient airing in the book. Are those fleeing war to be recognized as ‘refugees’? Do irregular migrants enjoy the same labour rights as other workers? How are the individual responsibilities of EU Member States to provide protection to asylum-seekers and refugees be allocated and calculated? When is it lawful to detain asylum-seekers on arrival? Do workers from multinational corporations have special privileges that allow them to migrate as ‘intra company transferees’? May governments punish migrants for failing to ‘integrate’? I can answer these questions as a matter of positive law in EU law, although none of these questions is amenable to a short concise answer. However, if I posed the normative question, is the resultant position in EU law just or ethical, the basic parameters of that discussion would be contested. Moreover, reaching for human rights law will not render the matter any clearer. Indeed, EU law has set up diverse interactions with human rights law on these topics, and many ethical concerns are obscured in that process. Questions of justice as regards migrants and refugees are remarkably fraught and unsettled, even when the unit of concern is the state. Much of the leading political theory of the late 20th Century, at least in the Anglo-American tradition, treats questions of membership and migration as escaping or being prior to questions of justice. Justice, on this account, concerns the distribution of benefits and burdens within a society, which is assumed to be coterminous with a bounded territorial state. Remarkably, for instance, Rawls’s Theory of Justice assumes we are all born and die in the same polity. When he later turned his mind to global justice in The Law of Peoples, he suggested that ‘The problem of immigration is not, then, simply left aside, but is eliminated as a serious problem in a realistic utopia.’ (p. 39). Rawls was not alone is this, and the notion of question of membership as prior to justice is found in many accounts. There has been an outpouring of normative writings on refugees and migrants over the past two decades, much of it asking at a high level of generality whether justice demands ‘open borders’ (of ‘fairly open borders’ as Veit Bader put it) or allowing closure as a default position, with some exceptions for refugees and the most needy and proximate. Joseph Carens’ monumental contribution to that debate has many virtues: He brackets out bigger questions of global justice, and outlines an ethical approach to would-be migrants and refugees, and those who are already living in liberal democratic states. His ethical premises are those that are unavoidable in democratic states, irrespective of how broader issues of global justice are construed. His work also has practical traction, as much of his contribution starts from the ‘conventional view’ that states have discretionary control over admissions of persons, and works from there. Even on the conventional view, much of the way states treat migrants and refugees is revealed as deeply unethical. Does it matter whether we characterize practices as ‘unjust’ or ‘unethical’? For most practical purposes, no. The EU makes laws and helps implement and enforce them. The ethical implications of these coercive powers need to meet normative standards, irrespective of what type of polity the EU is, and whether we call those demands ‘justice’ or some other species of political morality or ethics. Indeed, my view is that the ethical precepts that best fit the postnational, or at least multinational polity that is the EU must be more demanding that those placed on states. Liberal nationalist arguments for closure based on national culture or sustaining the quality of democratic deliberation lose cogency in EU where openness has not significantly undermined either (although some might contest that empirical claim). Moreover, the EU has not only espoused basic democratic values, but has a constitutional framework which makes fulsome commitments, for instance to combat race discrimination and racism in all its activities. Working out the demands of justice in this transformative political space has been the focus of some scholars’ work (Hans Lindahl and Dora Kostakopoulou come to mind immediately), but more work is needed. The relatively privileged status of EU Citizens has made migration as of right a reality for most in the EU. In this context, the starkly divergent position of those both within the EU without EU Citizenship, and outside seeking entry, stands accused of perpetuating a European apartheid. Since Balibar leveled that accusation in 2003, the legal and political dynamics have much changed. The EU is much more actively engaged in migration control, both legislatively (for instance by regulating most of the immigration detention in the EU) and through its executive power (through its coordinating role in Frontex). Yet, it also sets legal standards for admission of refugees, and some other categories of migrants too, and has created a denizen-like status for some long-term residents in the EU. Its basic competence in this field sets it up to be both jurisgenerative and jurispathic. It is to ‘manage flows’ of migrants, but also ‘combat illegal immigration’. As ‘illegal immigration’ is created by national and EU law, the EU is tethered to the restrictive tendencies of its combined Member States. Its approach to first admissions has been piecemeal: Yes, there have been some rights-protective developments. For instance by harmonizing some aspects of family reunion and long-term resident status, EU law has thwarted some restrictive tendencies at the national level (See for instance Case C‑579/13 P & S, 4 June 2015, and Steve Peers’s commentary). Fairness for migrants and refugees demands that we examine not only questions of first admission, but also the gamut of practices that are carried out under the guise of managing migration. The concepts of migration status and migration control are helpful in opening up a range of actions to scrutiny. ‘Migration status’ refers to the way that migration law sets up statuses that determine the rights of migrants not only as regards their entry and duration of residence, but also in the workplace and in family life. These statuses are unevenly distributed: The ‘highly-skilled’ get better statuses than the ‘low-skilled’, who often have migration statuses that restrict their labour and family rights, in some cases exposing them to greater risks of labour exploitation and even forced labour. Even if we endorse the conventional view that states have a broad discretion about questions of admission, creating status hierarchies within polities is unavoidably a manifestation of injustice. The EU has just created a status for seasonal workers. It contains some labour rights, but nonetheless endorses the idea that no matter how many years years a seasonal worker contributes to the host society’s economy, no right to permanent settlement will accrue, at least not as a matter of EU law. One might say that basic matter of inclusion is for national law, but the horse has already left the stable: EU law creates denizenship for some migrants, so why not seasonal workers? Migration control has entails practices that also reach into our daily lives. Migrants may find themselves in detention without any of the protections that would be afforded to criminals. And EU law now sets standards for the detention of asylum-seekers and those facing removal. The Court of Justice of the European Union has decided 11 cases on detention of deportees, with some remarkable liberty-protective outcomes. But EU legislation permits detention for up to 18 months of those facing deportation and its implementation at the national level has, it seems, created more detention, more detainees, but with more rights. The implementation of the Returns Directive has led to longer outer detention time-limits in Greece, Spain, Finland, France, Italy and Luxembourg; although Bulgaria, the Czech Republic, Denmark, Estonia, Lithuania, Latvia, Romania, Slovenia, Slovakia and Norway have shortened their detention periods following the entry into force of the Directive. EU law requires Member States to penalize employers who employ ‘illegal immigrants’ notwithstanding the fact that ‘illegality’ is a complex notion, based on national laws and practice that require scrutiny, not amplification. It is also establishing penalties for assisting illegal immigrants, in a way that is overbroad. The constitutionality of analogous Canadian legislation is currently being challenged before the Supreme Court of Canada, as it impedes refugee protection and humanitarian impulses. By enlisting transport companies in migration control, and denying visas to refugees, the EU is complicit in the grotesque scenes in the Mediterranean Sea: Those fleeing cannot board regular flights and ferries, for lack of visas and as carriers face sanctions if they allow them to board. A regular ferry from North Africa to Italy costs around £50. Instead, the most desperate have recourse to smugglers and spend thousands. We are willing to spend billions on rescue at sea, but not provide safe means of access to refugees. The EU’s own Fundamental Rights Agency has published data on the lack of safe access to the EU for those seeking refuge. Those most in need, including those whose needs we would recognize by offering asylum, risk their lives to reach the relatively safety of the EU. Unjust? Unethical? Indecent? Cruel? All of these, surely. (The Treaty requires the EU to ‘develop a common immigration policy aimed at ensuring, at all stages, the efficient management of migration flows, fair treatment of third-country nationals residing legally in Member States, and the prevention of, and enhanced measures to combat, illegal immigration and trafficking in human beings.’Article 79 (1) TFEU (ex Article 63, points 3 and 4, TEC). Case C-329/11 Alexandre Achughbabian v Préfet du Val-de-Marne  ECR I-12695 ; Case C-430/11 Sagor  OJ C 26/13; Case C-522/11 Mbaye  OJ C 156/16; Case C-383/13 PPU G & R  OJ C 325/8; Case C-146/14 PPU Mahdi  OJ C 253/14. For analysis, see ML Basilien-Gainche, ‘Judicial Control of Detention: A Deceptive Upheaval?’ (EU Law Analysis, 10 June 2014) accessed 12 April 2015; Joined Cases C-473/13 and C-514/13 Bero & Bouzalmate  OJ C 315/22; Case C-474/13 Pham  OJ C 315/23. SUGGESTED CITATION Costello, Cathryn: European Justice for Migrants and Refugees, VerfBlog, 2015/6/14, https://verfassungsblog.de/european-justice-for-migrants-and-refugees-2/. I’ve chosen the current crises of refugees coming into the EU, and have tried to relate the CEAS back to the hierarchy (treaties, charter, principles, international agreements, and secondary legislation). But it appears that the system is highly fragile/Dublin not working, relocation not happening as member states not pulling their weight (only 272 relocated out of proposed 160,000, 32 infringements of new laws.) In such a crises and ever changing world, how can the EU be responsive to dealing with the situation (given constraints on its conferred competences) and could there be a case for the use of article 352 – the flexibility clause? I would be very grateful if you could provide a steer to relevant sources/reading or your brief thoughts.